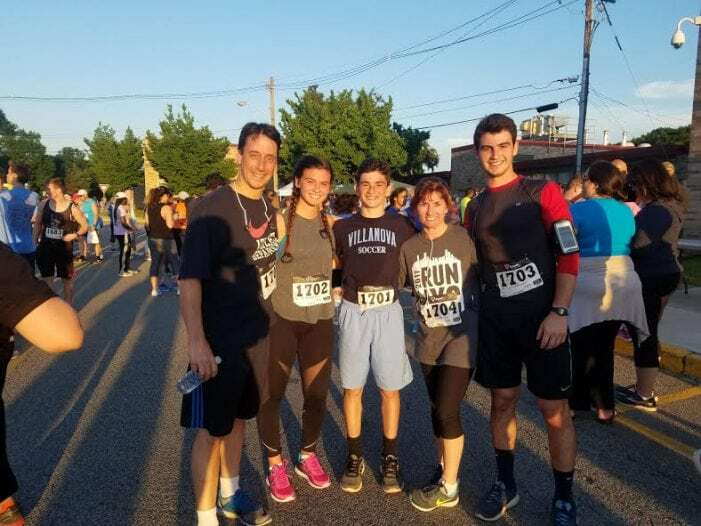 The 10th Annual Roxbury Community Benefit 5k, held on Monday, June 11, was a perfect 70 degree evening for the participants and spectators that gathered at Eisenhower Middle School in Succasunna ready to celebrate the tradition. The 5k event hosted by the Morris County Striders Running Club attracted people from all over New Jersey as well as Pennsylvania, Delaware, and even South Carolina. At the sound of the siren 497 runners and walkers began their 5 kilometer journey with two water stops along the way. Residents swarmed the streets watching and encouraging the runners as they passed by. The course began in front of Eisenhower Middle School on Eyland Avenue. It proceeded through neighborhoods between Eyland Avenue and Hillside Avenue, continued through the Roxbury High School parking lot, and concluded back at Eisenhower Middle School. After the race, participants and spectators were greeted with a DJ, Domino’s Pizza, Cliffs Ice Cream, yogurt, nutrition bars, water, sport massages and prizes raffled off from local businesses. Nicole Natalie, 22, of Ledgewood, had a time of 22:52. She got second place for females ages 20-34. This is her seventh time running in this race and has come home with a medal each year. She loves the event and her favorite part is “always seeing familiar faces and catching up with everyone in town,” she said. The family is already looking forward to next year’s race. Day Care Center, Roxbury Social Services, Kiwanis Scholarship Fund and the St. Therese Building Fund.